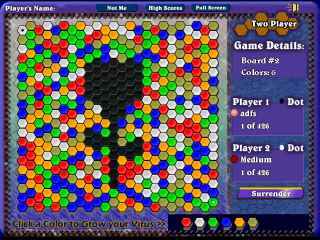 Free Download Virus 3 Game or Get Full Unlimited Game Version! 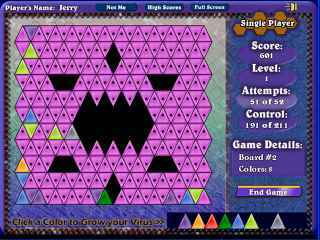 Get your virus to grow over the whole playing field, but watch out how many moves it takes to do it. In order to get advantaged of playing Virus 3 full unlimiteg game version you must register the game. Help a brave microbe, Gloria, free the lab from the evil virus Barbadoom in The Microbie Story, a challenging Puzzle game!